If you want your business to succeed, it must be efficient. This is a universal truth. Businesses that last decades don’t do so by accident. But at the same time, you need to balance your need to be efficient with your need to sleep at night. What if improving efficiency comes at the cost of worsening working conditions for your employees? What if improving efficiency comes at the cost of laying employees off? #1 Is Laying Off Employees Wrong? Businesses aren’t machines. They’re made up of people. You can’t help but develop relationships with the people you work with: you see them every day, you learn about their lives, they learn about yours. What do you do when an employee starts to become less valuable to your organization? You certainly can’t afford to keep paying someone who has absolutely no purpose in your business, but sometimes an employee offers a moderate amount of value and it’s hard to tell year to year whether they are worth their salary or not. In this case, there are many factors worth considering. For one, how well is your business doing right now? If you’re in no danger of collapsing anytime soon, they you can afford to take a chance on an employee that might end up not being worth it. But if you’re just scraping by, then it’s not fair to your core employees to risk their livelihoods by wasting resources on a possibly expendable employee. Also, what kind of employee are we talking about here? Is this a 20-something with rich parents who will easily land on their feet when they’re out of a job, or some poor widower with bone cancer that needs a steady paycheck to pay their medical bills? It’s less ethical to fire some people more than others. In ethics, all the little details matter. #2 Where Do Your Loyalties Lie? When conflict arises, company owners needs to consider both employees and investors in order to make a reasonable decision. It’s hard to lay off employees, especially ones you really like. But it’s unfair to your investors to not fire an employee when they’re costing more money than they’re bringing in. You have an obligation to do right by your investors and make as much money as possible. The investors in your company might want you to fire more employees than necessary. Your employees don’t want you to fire anybody. You should be loyal to neither your investors nor your employees, but to your business itself. What’s best for the future of the business? If you can make a good, business-focused argument against layoffs to your investors, then go ahead and keep everyone on board. If not, it’s time to start making some cuts. #3 Is Efficiency Acceptable to Employees? Improving efficiency is often met with resistance from employees. They can see it as a threat – they don’t want to be replaced. Often, employees will purposefully take longer than they need to on tasks to make it look like they have a bigger workload than they really do. For employees to work hard, they need to believe there’s a future for them in your business. They don’t want to just not get fired – they want to get promoted, eventually. When you tighten the purse strings and start cutting back expenses, it sends the message that things aren’t going well. It’s easy to understand why employees might think they’re next on the chopping block in this situation. If your workers are completely safe from being fired, let them know. Put them at ease. They’ll be better employees if they’re relaxed. Don’t lie to them, though. If you say everyone is safe on Monday and then fire a few people on Friday, no one will believe anything you say in the future. You’ll never be able to put your employees at ease again. Firing someone should always be the last option. If an employee isn’t working out in one department, consider transitioning them to another department rather than letting them go. Internal promotions are always more affordable than external hires. Have too many drivers? Maybe one would be a good fit in the stockroom. Maybe one has the experience and technical expertise needed to make a good dispatcher. Get creative with your resources. All this rearranging can be difficult, though. There are a lot of moving parts involved. Evaluating employees for new positions while simultaneously managing these employees at their current positions takes a lot of time and effort. 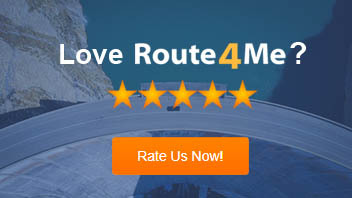 Route4Me’s route planner can help. #4 What Do You Do With Lost Driver Hours? Increased efficiency means your drivers will cover routes faster than ever before. They could finish what was previously 10 hours of work in just six or seven hours with this route planner. That’s 3 or 4 hours of work a day that your drivers no longer have. What are going to do? Fire them? 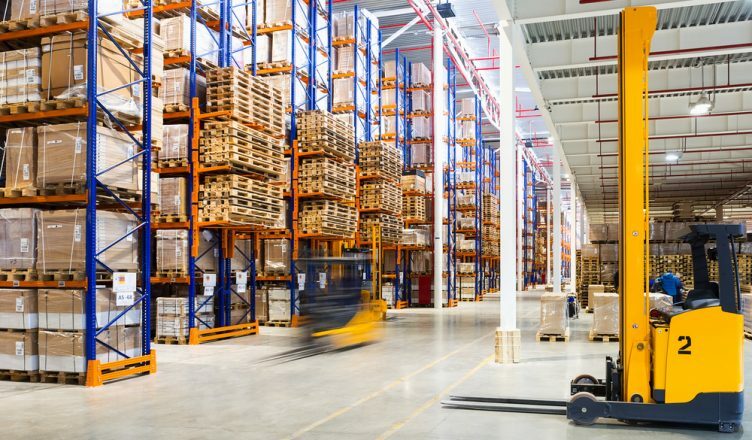 Route4Me’s delivery route planner makes it easy to identify areas you don’t currently serve that are ripe for expansion, so you can find more work for your employees and make more money as well. You can also track which leads are hot and create mock routes with real addresses, allowing you to see exactly how much it would cost to expand into a new territory. #5 What’s the Right Way to Fire an Employee? It’s not easy to sit down across from someone and tell them, face-to-face, that they’re fired. As hard as it is, this is the only way to do it. A phone call won’t do. An email – no dice. You need to show the employee you’re firing the respect of meeting with them in person. Also, be honest about the reason you’re firing them. Is it purely for economic reasons, nothing to do with performance? Great. Let them know. They’ll surely want to hear that. But maybe you were using our route optimization software and you noticed poor performance and unprofessional behavior: they were often late to stops, took unauthorized breaks, etc. You gave them a warning, but they just kept making the same mistakes. If that’s why you’re firing someone, let them know, too. Don’t be harsh, just be honest. They might not be in the mood to hear it now, but honest critiques are the only way they’ll ever improve themselves as professionals. How do you balance economics with ethics? Have any tips to share? Let us know in the comments section below. We’ve just implemented routing software and whilst we are meeting with a LOT of resistance we are already seeing the benefits and slowly some of the resistance is melting away. Just keep at it and use it to show the drivers especially how tracking them and following their performance is good for business, and anything that’s good for business is good for them too. Thank you for sharing your story. It is important that your employees are aware of the benefits for them. As you say, a healthy business is a good business… able to thrive in a downward economy and offer their employees additional benefits. Everyone wins!